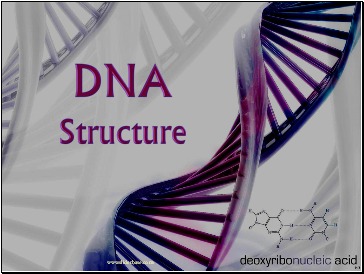 DNA consists of two molecules that are arranged into a ladder-like structure called a Double Helix. 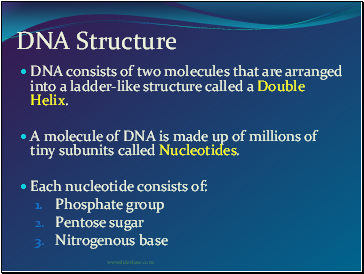 A molecule of DNA is made up of millions of tiny subunits called Nucleotides. 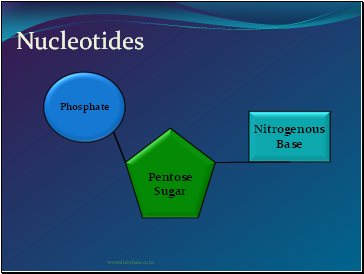 The phosphate and sugar form the backbone of the DNA molecule, whereas the bases form the “rungs”. 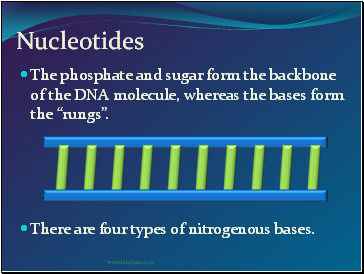 There are four types of nitrogenous bases. 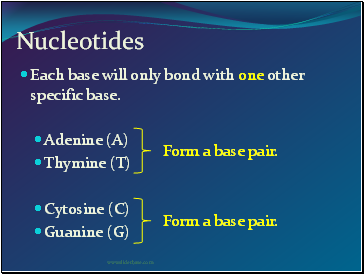 Each base will only bond with one other specific base. 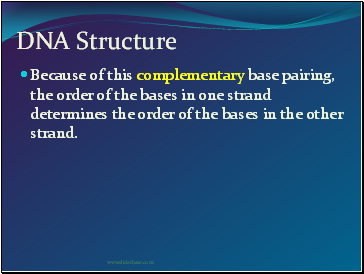 Because of this complementary base pairing, the order of the bases in one strand determines the order of the bases in the other strand. 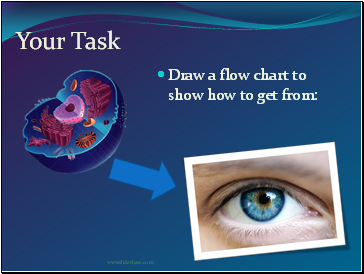 To crack the genetic code found in DNA we need to look at the sequence of bases. 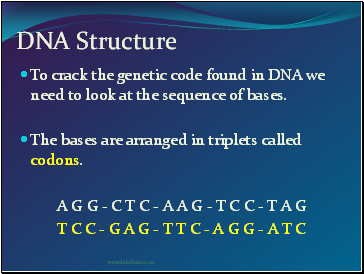 The bases are arranged in triplets called codons. 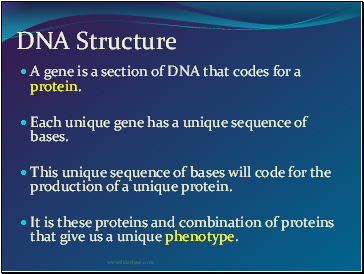 A gene is a section of DNA that codes for a protein. 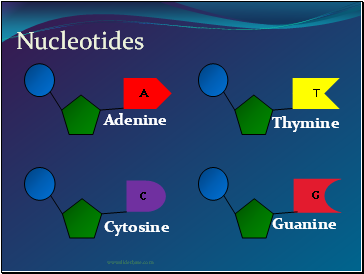 Each unique gene has a unique sequence of bases. 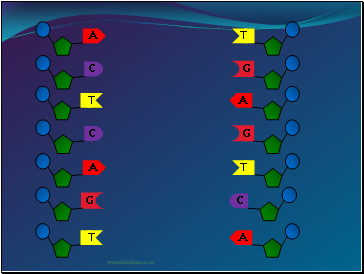 This unique sequence of bases will code for the production of a unique protein. 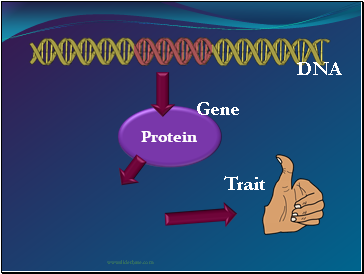 It is these proteins and combination of proteins that give us a unique phenotype.